Paralympics promo from British broadcaster Channel 4 takes gold in Rio as ads from Under Armour, Nike and P&G also make the top ten from the last decade. Half of the top 10 most shared Olympic ads of all time come from the Rio Games, with ads from Channel 4, Under Armour, Nike and P&G making the all-time chart. 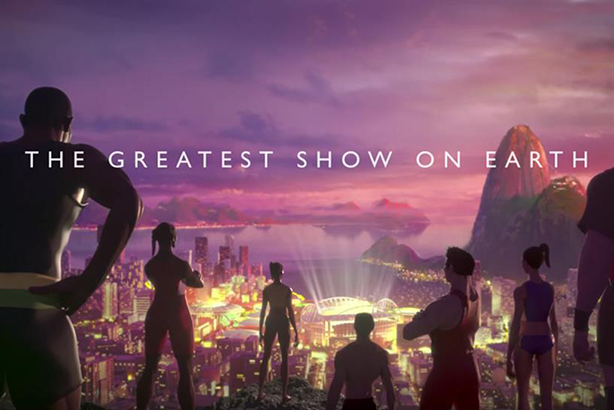 Channel 4’s "We’re the superhumans" is the most shared ad of the Rio Olympics. The ad promoting the TV channel’s coverage of the upcoming Paralympic Games took gold after being shared more than 1.46 million times across social media, almost a million more than its closest competitor, Under Armour’s "Rule yourself", featuring Olympic legend Michael Phelps. However, it was not enough to make the ad the most shared of all time, held by P&G’s 2012 ad "Best job," which currently leads the way with more than 2.44 million shares. But with the Paralympics not due to start till next month, the spot – currently in second place – still has time to claim the all-time gold. Michael Phelps’ Olympic ad’s 473,635 shares were enough to earn Under Armour silver in Rio, but not enough to earn it a place on the all-time podium, the Olympic swimmer instead having to settle for fourth. The latest instalment from P&G’s highly-successful "Thank you, mom" campaign not only took bronze in Rio but was also sixth in the all-time chart – the third ad from P&G to make the list. An Under Armour spot featuring the USA gymnastics team and Nike’s "Unlimited youth" also make the all-time list, in 9th and 10th positions respectively. Meanwhile, Nike’s decision to release several different ads as opposed to one blockbuster ad also meant the sports giant had three ads in this year’s top 10 – the most by any brand. Spots from United, Gatorade and the BBC also made the Rio top 10. Unruly has been measuring this data since the company was founded back in 2006. YouTube was founded in 2005 and Facebook was founded in 2004.